One small issue with mobile coffee.. “You have to wait for it to heat up.” MAD Bike exhibit had the catering by bike situated caterers, including this Bullit bike coffee machine. Great added value. The MAD Bike exhibition in Brussels was a mixed event for me. I thrived with the bike aspect, the artisanal frame builders, the Belgium innovation. But the lecture that spearheaded the event was so off base to the audience it was infuriating… The blog entry makes this clear. The exhibition had a three part lecture on mobility. I say lecture because there was absolutely no time allocated for discussion, for the audience to interact with the information presented. It makes for a very one-sided and uninspiring one-way verbal release. The best of the show were the Belgian frame builders who were finally present. Noble Cycles, Velofabrik and a venture so new they have not sold a bike yet, Ahooga foldable bikes. In the lecture session, Ahooga led the exchange and was easily the best prepared. It showed in the visual display that accompanied the presentation and they excelled in the two-man tag team presentation of their bike. The fail came from the discussion of B2B design for trains, trams and railway stations. I was shocked to be sitting at bike-centric exhibition and listen to a presentation about the future of bikes and mobility – and only hear the word, or see a bike one time in the entire presentation. Given that this was supposed to be the design of transport to come, I walked away, fuming that, according to MAD Bike, transport for the next few decade will not include bicycles in way save the most dismissive. It was infuriating to sit in a lecture about the future and see no place for the very aspect of mobility we should have been celebrating. I did challenge the information, incredulous that a presentation about trains, trams, railway cars, metro and railway stations had no awareness of cyclists or bicycles. The response was that his company dealt with Business to Business information and it was not in the brief. …. ARGH!!!! It makes me sad for the vision of city mobility in the future with thinking like this. 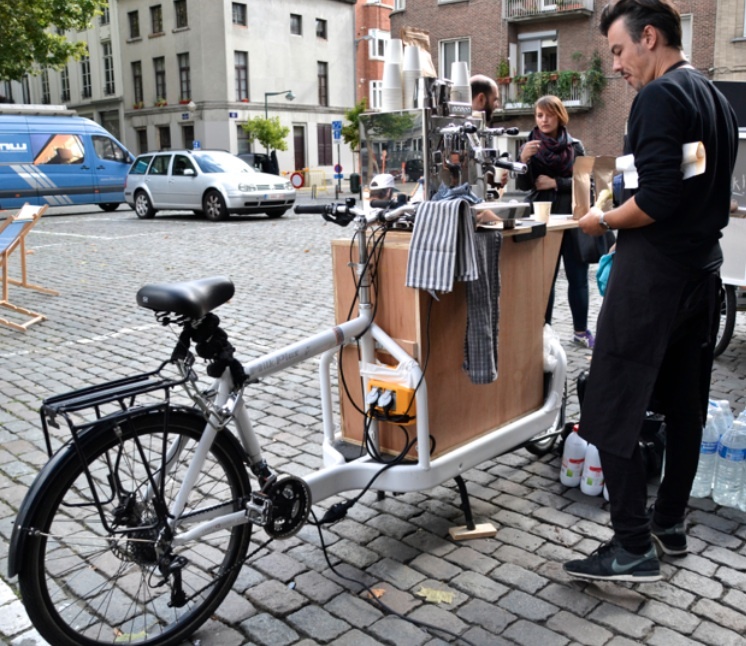 This entry was posted in advocacy, art, Europe, event and tagged 2015, Brussels, MAD Bike, September. Bookmark the permalink.